Matthew Arnold’s combined JamPod™ & JamClassHD installation was undertaken in July 2013. Why did you decide to embrace JamClassHD/JamPod™? I was looking for a way to make the best use of iPads and integrate them with traditional instruments, so I went with the JamClassHD option. 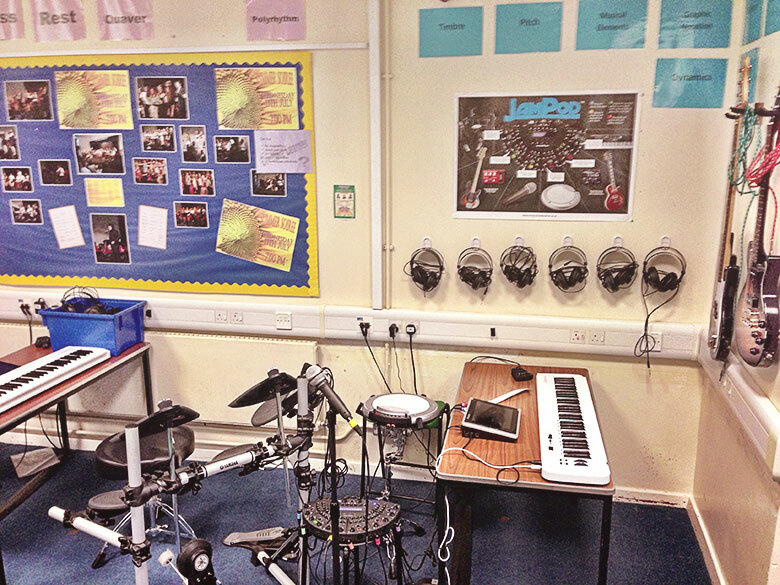 Secondly I had visited another school with JamClassHD and was amazed at how engaged the students were in making music. 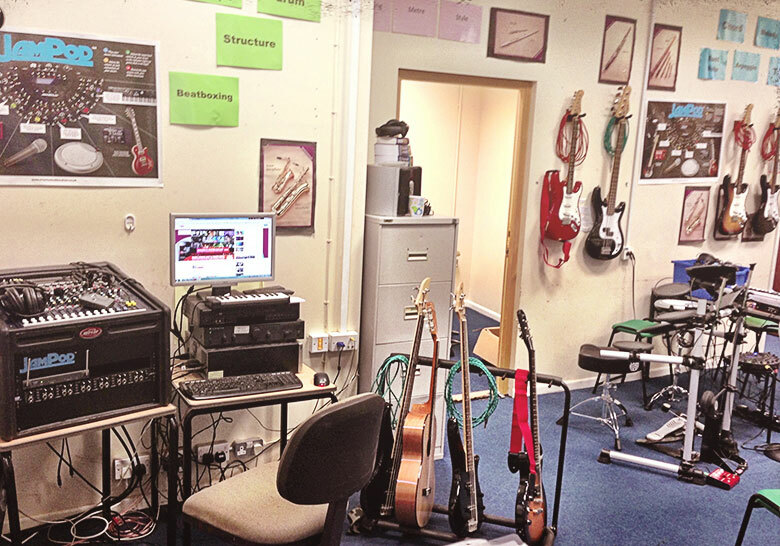 Yes, previously I was running between practice rooms and generally trying to be omnipresent, so having 6 bands in one room means I’m there when students need me, I can quickly assess, model and direct support when needed. Students can now easily make a high-quality recording direct into Garage Band or create a score using Notion. They can also make a ‘live’ recording into the JamHub which provides excellent quality feedback for AfL. How has JamClassHD/JamPod™ effected your own teaching? 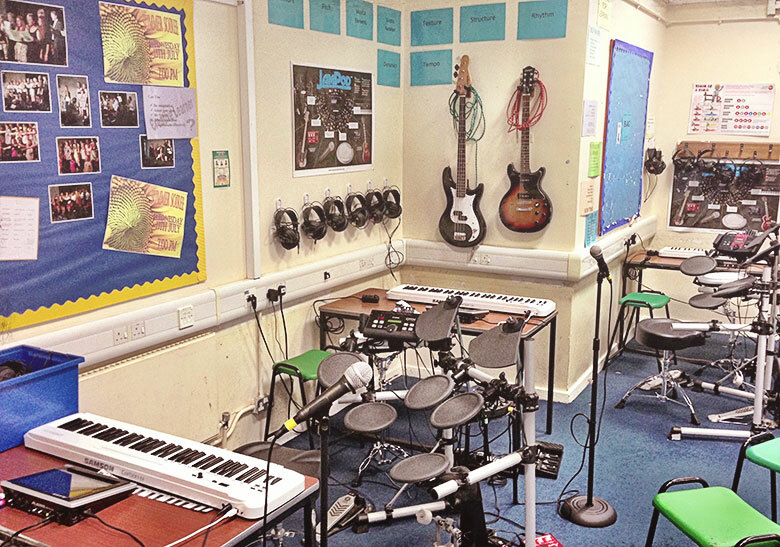 I was already immersed in the Musical Futures pedagogy and JamPod™ has massively enhanced the effectiveness of informal learning strategies and has made peer assessment and AfL easy. For instance a band can quickly record their performance and listen back. They can hand it to me on an SD card to take it to a computer for further editing. Alternatively they can perform live through the class PA system, installed with all JamPod™ and JamClassHD, and I can record straight from the teacher desk. This desk acts as an audio interface, so I can connect to a PC/Mac or iPad. 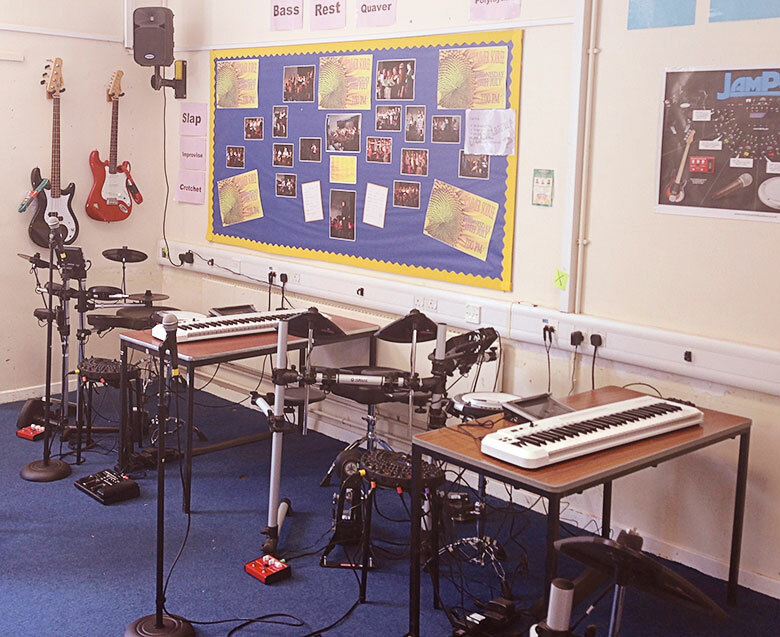 The teachers desk also allows me to connect one group of students to another to listen-in or connect instrumental groups together to play along with a guide track. I love this versatility and how it allows me to adapt to students needs as they arise during a lesson. What are your favourite features of JamClassHD/JamPod™? There are so many things I like about it! I love how it engages all the students and allows me to work on whole-class workshops with ease. There is now no difference between music in school and how music is made in the ‘real’ world. students are are learning instrument specific skills alongside ensemble skills and all aspects of the National Curriculum. I love being able to listen-in on students to check on their work and speak to them in their headphones. I can also connect one pod to another so they can learn from each other. I initially worried that students would not want to sing in front of everyone else, but because very single student is wearing headphones and is totally immersed in their ‘Pod’ they don’t even notice what others are doing and so the singing is brilliant. 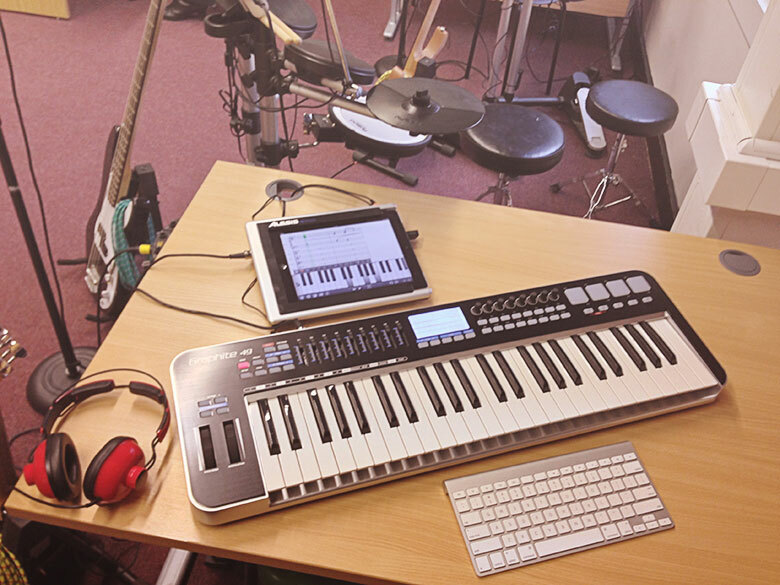 The iPads are so versatile as part of the ‘Pod’, but also easy to undock so I like being able send students around the school, to sample sounds for their compositions. There is real buzz about the music department, I am being continually asked about “these pod things you have” by parents and other teachers. It’s certainly raised the profile of the music department and what we do. Students are also excited about the JamPod™ Academy we intend to run in the evenings. Would you recommend JamClassHD/JamPod™ and Mix Music Education to others? Absolutely, the Mix Music Team has been great to work with and has been very supportive throughout the whole process. After-sales support has been amazing – one of the hubs developed a small fault and a replacement was with me the next day! Anyone thinking about a JamPod™ should speak to Dan or one of the Mix Music Team. Where possible, they will arrange a visit to a school with the equipment installed, because when you see it in action, you’ll want one! That’s what happened to me and my colleague!